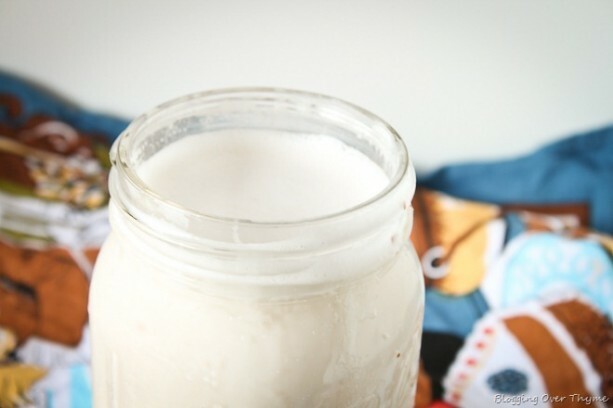 There’s nothing like discovering how to make a simple pantry staple, such as homemade almond butter, or in this case, homemade vanilla maple almond milk. Especially if it helps you avoid multiple trips to the grocery store (or money)! There is a certain amount of pride that it lends itself too. 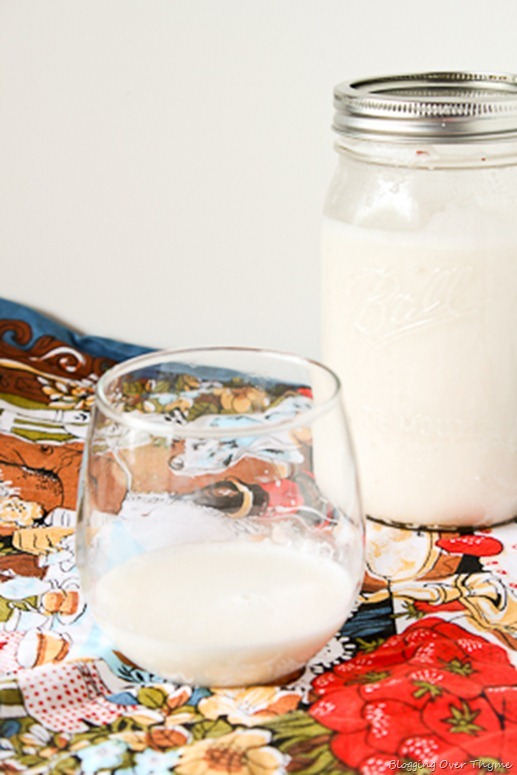 Though I prefer dairy milk for baking, drinking, and cooking, I do enjoy a good nut milk every now and then—specifically when using it to cook oatmeal or as an add-in to homemade smoothies. And it is obviously a great alternative for people with lactose-intolerance or those who have a hard time digesting traditional cow’s milk. One thing I don’t enjoy, however, are the ingredient lists in most store-bought nut milks, which usually include lots of sugar, lecithins, or other ingredients I can’t pronounce. Since I planned on using my batch of almond milk for oatmeal and smoothies, I decided to sweeten my version with maple syrup and vanilla extract. However, if you plan on using yours in savory dishes or prefer plain, just omit these ingredients. Or make your own variety with whatever you have on hand! There are many things you could add–spices, extracts, you name it. It’s that simple. After allowing the almonds to soak, place in blender and add 4 cups of water, maple syrup, salt, and vanilla extract. 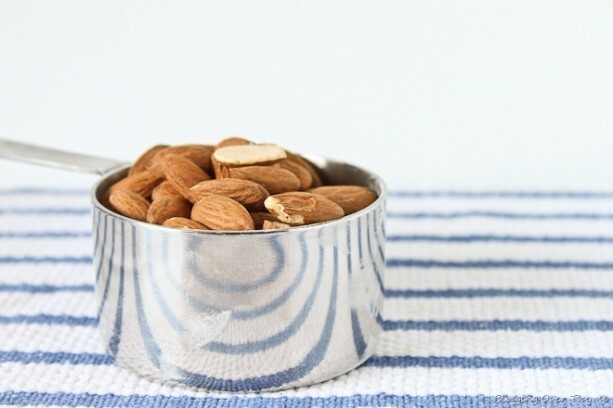 Cover with lid and blend away until consistently white in color and almond is finely blended. 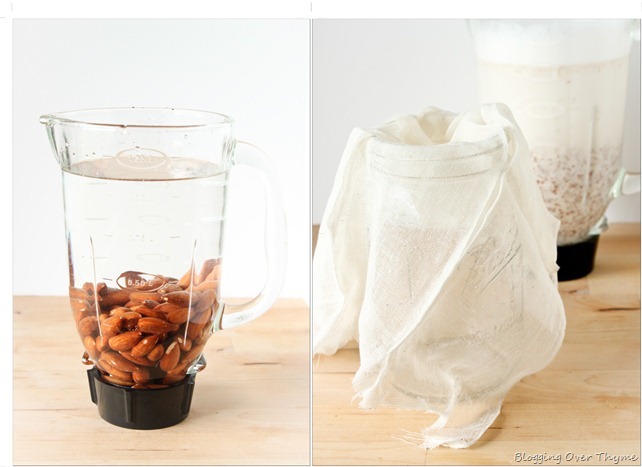 Place sieve, cheesecloth (secure with rubber band), or nut bag over a container of your choosing (make sure it is quart-size, I used a mason jar) and pour the almond milk over, allowing the milk to drip into the container and separate the pulp. 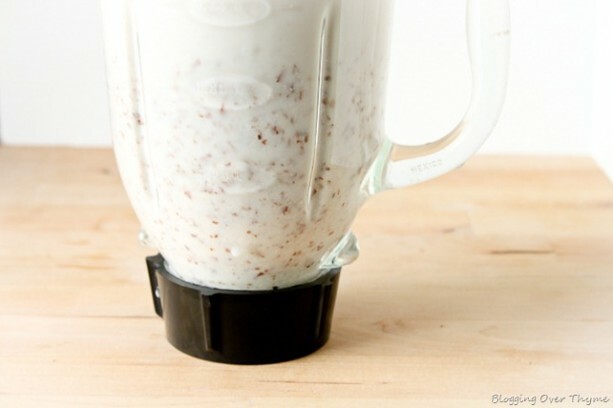 Go slowly—you may need to do this step in batches depending on the size of the container and sieve. 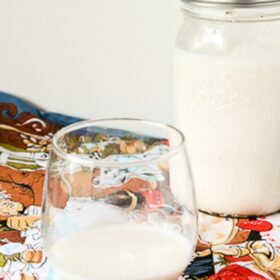 Once you have poured all the almond milk out of the blender, press down the nut pulp in the sieve with a spoon or squeeze the cheesecloth or nut milk bag firmly over the container to catch any additional milk. Store covered in refrigerator for up to 2-3 days (can last longer—just make sure it doesn’t sour). All images and text ©A Beautiful Plate. post it on instagram and tag it #abeautifulplate. You can either throw out the pulp (unfortunately, I did this without thinking!) or you can save it! 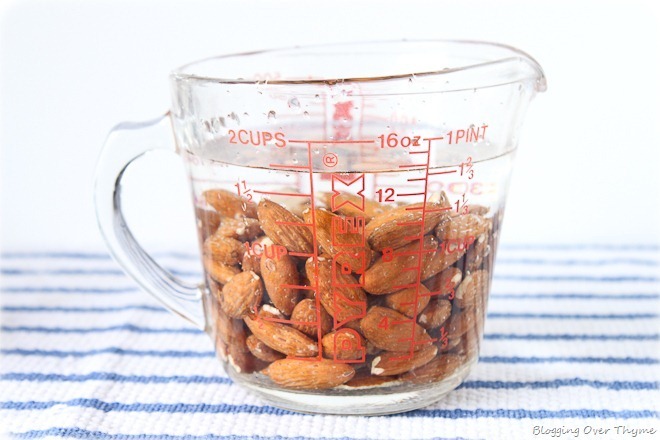 If you have a dehydrator, you can dehydrate nut pulp and use it as almond meal in baked goods. Don’t let it go to waste! And last, but not least, make sure to enjoy the fruits of your ‘labor’! Tomorrow morning I head to San Francisco to visit my sister for a few days! Hopefully I can check in at some point during the trip. Have a great weekend!